The test method is per Corporation Standard (Q/JBSQ 001-2010) and/or GB Standard. 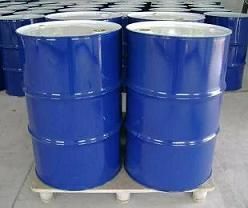 Mainly used for Paint solvents, thinners, solvents of various vegetable oils and resins. Also used to manufacture plastics and spices,fruit flavors, the preparation of banana,raspberry,strawberry and cream flavors. its unique molecular structure (strong steric hindrance). 2. Tert-butyl acetate (TBAC) as oxygenated solvent can create synergies with other solvents (toluene, trichloroethane, etc.). the volatile at room temperature and content of hazardous air pollutant (VOC and HAP content).